For many entrepreneurs, finding their next business opportunity is crucial to continued success. Whether it’s becoming an investor in someone else’s project, or starting a business of their own, entrepreneurs make money by knowing what will gain traction in the market. While owning a vending machine may not seem like the most glamorous entrepreneurial pursuit, many have found that it can certainly be a lucrative one. For starters, everyone is familiar with vending machines. We see them everywhere we go, and we’ve all purchased a snack or soda from one at some point in our lives. Vending machines have stood the test of time as an American staple. They can be placed just about anywhere — both indoors and outside — and whether or not you deem this a glamorous business, it’s a good bet that the convenience and ease of vending machines means they’re here to stay. With that in mind, here are some additional reasons why a vending machine just might be your next big business idea. Many major vending machine owners have upwards of hundreds of vending machines in various locations—but you don’t have to start out that way. In fact, you could start with one refurbished vending machine, and, if it’s in the right location, it can pay for itself within a year. If all goes well with your first one or two vending machines, you can choose to invest some or all of the profits in more vending machines. Own as many or as few as you’d like depending on your business goals; you can scale your vending machine operation to suit your lifestyle or business. Unlike many other types of products or businesses, operating vending machines requires relatively little owner intervention. They should be stocked regularly with new foods, beverages, or sundries (depending on what you choose to sell) and loose change, but most do not require full-time attendants like a retail store would. Basically, you can “set it and forget it,” so long as you or a reliable employee is responsible for regularly stocking the machines. While there are many good vending machine locations that are already occupied (hospital waiting rooms, office break rooms, and airport terminals, for example), there are new offices and buildings popping up all the time in growing metropolitan areas. Or, if you have a little more startup capital, you can invest in some more innovative machines, such as a fresh food, makeup, branded candy (as in, all the candy made by M&Ms, for example), or even a bicycle vending machine (yes, they exist!). While many newer vending machines accept credit cards as payment, if you invest in some older, refurbished vending machines, your business will all be conducted in cash, which is helpful for avoiding credit card transaction fees. The vending machine industry started out on this basic, cash-only system and some patrons may even be expecting to use cash rather than a debit or credit card. 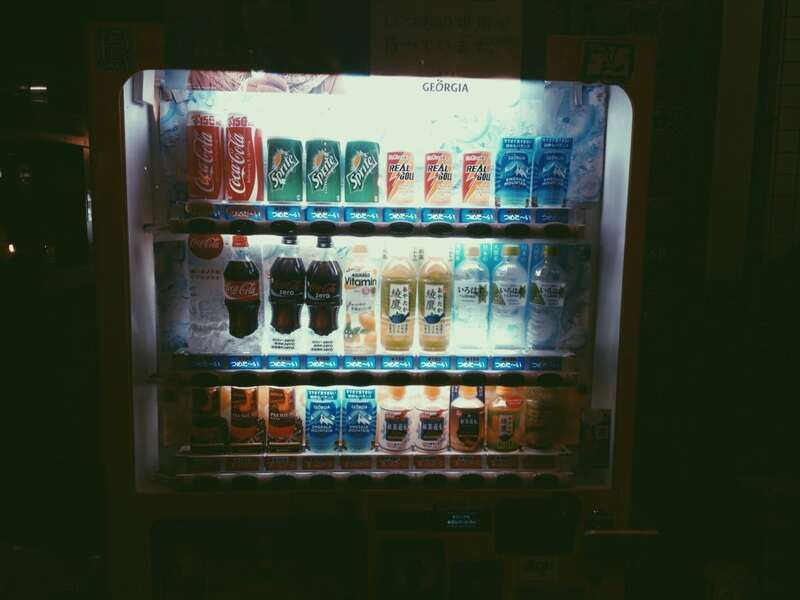 As with many types of businesses you can choose to own, a vending machine business would allow you a fair amount of flexibility, whether you hire personnel to stock and repair the machines, or do it yourself. You will have the ability to set your own hours, one of the biggest perks of owning your own business. However, like many other types of businesses, being the boss means you’re ultimately responsible for its success or failure. Choose a type. There are many options for vending machines out there, so choose what you think will make the most money in your area. Get licensed. Even though you’re only running vending machines and not a full-fledged business, you’ll still need to be licensed in your city and/or state. Buy some machines. You’ll have the option to buy brand-new machines or refurbished ones. Partner with a vendor. No matter which type of machine you choose, you’ll need to partner with someone who can provide products for your machines. If you buy a vending machine from another private owner, ask them for a vendor list. Most sellers will be willing to share this information. Find a location (or two). Shop yourself and your new business around town, asking other business owners if they would like a vending machine in their place of business. Bring pamphlets and sell them on your service. Ensure your machine is in good working order – make sure your machine(s) works well and can make accurate change. If not, repair it before installing it anywhere. Whether big or small, branded or unbranded, a vending machine business can be incredibly lucrative. It’s all about making the right business decisions in the right area and investing wisely. Also read The Vending Start-Up EKit, and see Vending Routes for sale.